Inquiring Minds is a founding partner in DemocracyReady NY which is the coalition that is holding New York State accountable for teaching civic engagement in our K-12 schools, preparing all children to be active participants in our democracy. Here are two articles that show the recent efforts to provide civic engagement to all. Michael Rebell is the lead in our coalition is quoted in both. DK Holland visited with Mara Krechevsky at Harvard's Project Zero. We spoke about the need to engage children in civic life in elementary school and how Learning Walls help. Dr. Krechevsky is a researcher focused on making learning visible which is a major component of our work as well. Check out Project Zero. DK Holland and Patricia Crain de Galarce met with Peter Levine, founder of CIRCLE at Tufts in Boston recently. We discussed the importance of civic education in the lives of elementary school children. We are thrilled to say that Dr. Levine is now an advisor to Inquiring Minds. Our event at Civic Hall: A great start to a new dialog! On to Part 2! Stay tuned! DeNora Getachew, Generation Citizen; Jacqueline Simmons, Teachers College, DK Holland, Inquiring Minds, NYC Public Advocate Letitia James (guest), Joe Rogers, Center for Education Equity and Elizabeth Waters, Inquiring Minds. The heart of democracy beats in every citizen, including, and especially, in children. This interactive event is the start of an inquiry: How do we nurture that civic spirit and critical thinking in all individuals from K-12, in our schools? The honor guard (fourth graders: Law, Magaly and Sully) wind down after the 5th grade graduation ceremony at PS 20, Brooklyn. During this lively 'Tonight Show' format DK Holland of Inquiring Minds 'set the stage' for her four guests. Each of the 4 presenters joined her to add their unique point of view so we get the full picture of the big challenge: How do we help develop young citizens in this tumultuous time? What is the potential for education? After a brief introduction the audience was asked to contribute their own reflections in small group discussions which included networking opportunities and led to 'next steps'. DK Holland of Inquiring Minds and her four guests 'set the stage' to led all participants in a lively discussion about getting kids K-12 engaged as active citizens in their schools. 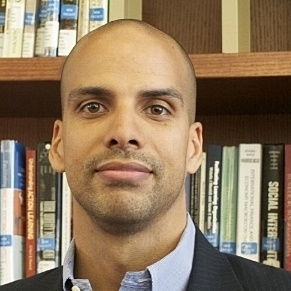 Joe Rogers serves as Director of Public Engagement and a Senior Researcher with the Center for Educational Equity at Teachers College, Columbia University, for which he leads the student- and parent-centered Know Your Educational Rights initiative and conducts school-based research. Previously, he served as Director of Policy and Civic Engagement with Education Voters of New York and as a Program Associate in Teaching and Learning at New Visions for Public Schools, where he co-facilitated a program that strengthened school library programs throughout NYC. After beginning a career in education as an AmeriCorps VISTA with Georgetown University's Volunteer and Public Service Center, he went on to launch and manage a Literacy*AmeriCorps program for a coalition of community-based adult, child, and family literacy service providers in Washington, D.C. In his civic life, Joe is the founder and facilitator of Total Equity Now, a Harlem-based, volunteer-driven organization that engages students, parents, and other community members in fostering educational excellence and equity. A former co-chair of Manhattan Community Board 9's Youth, Education and Libraries Committee, he presently serves on the boards and steering committees of several community-based organizations. Joe holds a master's degree in education leadership, policy, and politics from Teachers College, Columbia University, and a bachelor's degree in psychology from The George Washington University. DeNora Getachew is the New York City Executive Director of Generation Citizen, an 8-year-old national nonpartisan, nonprofit dedicated to bringing civics back into middle and high schools classrooms through a new, engaging pedagogy: Action Civics. DeNora was a democracy nerd before it was in vogue. She began her legal career as Legislative Attorney for the New York City Council’s Governmental Operations Committee, where she co-authored revisions to the City’s public financing program, now a national model. She has also worked at state good government organization Citizens Union, Policy Director for then-Public Advocate Bill de Blasio, and most recently as Campaign Manager and Legislative Counsel at the Brennan Center for Justice at NYU School of Law. DeNora has contributed to the New York Times’ City blog, Huffington Post, the Des Moines Register, Medium, Newsday, and Gotham Gazette. In DeNora’s spare time, she serves as a board member of Planned Parenthood, NYC Votes, and also volunteers with the New York Junior League and with the Greater New York Chapter of the Links, Inc.
Jacqueline Simmons, Ed.D. is a Senior Lecturer at Teachers College, Columbia University where she directs the Master of Education Program in Curriculum & Teaching. Her courses and research examine the design, theory and critical analysis of curriculum, with particular attention to youth, media and conceptions of innovation. She is currently co-designing a curriculum lab, a collaborative space to reimagine possibilities for curriculum making as a public endeavor. Dr. Simmons regularly designs multimedia curricula and professional development with local and international NGOs, schools and universities, museums, and foundations. Her work addresses challenging sociopolitical issues, such as social innovation and resilience among vulnerable populations across the globe, the emotional impact of slavery in the US, and preparing immigrants to run for public office. She has also collaborated on international capacity building initiatives in Afghanistan and Palestine and will be a Visiting Lecturer at Singapore’s National Institute of Education in January 2018. She is currently producing a short film about 18th century slavery for Historic Hudson Valley, which operates an historic site called Philipsburg Manor, a former plantation in New York State. Ready to Lead – A curriculum for a national progressive candidate training program preparing first and second generation immigrants to run for public office. Client: New American Leaders Project. Elizabeth Waters is an educator and board member for Inquiring Minds where she collaborates with educators and students to incorporate democratic learning and create Learning Walls to represent student’s knowledge and personal experiences in classrooms. As the Community Partnership Manager for Iridescent Learning, she coaches educators, engineers and parents to create family science programs for their communities and engage elementary and middle school students and their families in multi-generational learning. Prior to this she developed the Learning at the Bench (L.A.B.) program for the Science Outreach Program at Rockefeller University to engage New York City middle and high school students in problem based genetics research and consulted with schools to create inclusive science research that benefits in their communities. Dr. Waters started her career in neuroscience research working to understand the effects of hormones on brain development. She graduated with a bachelor’s degree from the University of Wisconsin Madison and doctoral degree from the Oregon Health and Science University. She completed postdoctoral work at The Rockefeller University and continues to investigate the effects or hormones on memory and mood. Elizabeth also collaborates on public learning events with BraiNY, the New York Chapter of the Society for Neuroscience, to educate the public about brain health and neuroscience research and supports girls in STEM as a volunteer for Girl Scouts. DK Holland As an accomplished designer, writer, community activist, educator and engaged citizen. Her key words are community, curiosity and cooperation. She is co founder of Inquiring Minds which works to give young students a civic voice and choice in their schools. Prior to Inquiring Minds, DK was a partner in Pushpin, the internationally known design firm. She is the author of many articles and several books including Branding for Nonprofits. DK believes all children are fully capable citizens. She took a 90 degree turn in her career to devote herself to this including spending four years developing a civics program in 4th and 5th grades at PS20 in Brooklyn where she collaborated with the students. teachers and parents of the school. The results have been several student led programs and processes for children to engage in authentic ways in their school community. DK is a resident at TED Conferences and founding member of 1776. In her civic life, DK co-founded and was a board member of the 100% working Greene Hill Food Co-op. She is also co-founder of The Hill, the Journal of Fort Greene, Clinton Hlll and Wallabout as well as Artists in Print, the San Francisco Graphics Guild and served as executive director of The Graphic Artists Guild, the union for visual creators, expanding GAG nationwide.. Explore the rest of this site to learn more about the work of Inquiring Minds and to find out more about both DK Holland and Elizabeth Waters.